The Siemens Acuson X150 ultrasound system integrates state-of-the-art imaging technologies with streamlined efficiency and optimal ease-of-use. 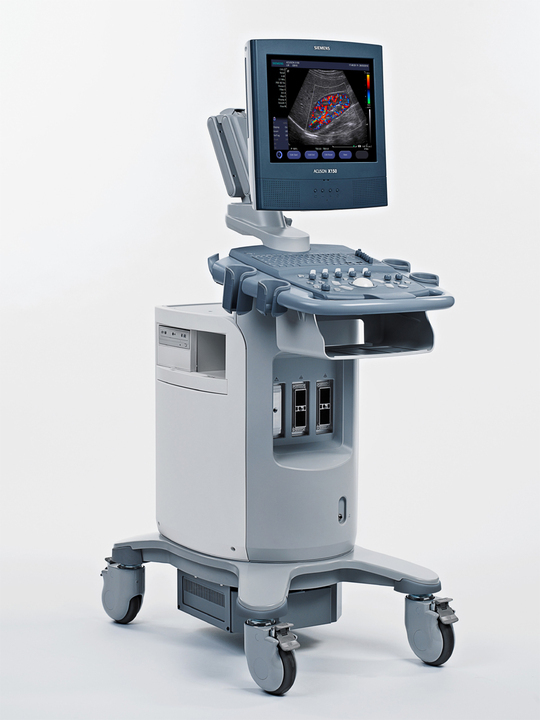 As such, with its multiple, built-in imaging features and technologies, the Acuson 150 ultrasound was designed to provide clinical users with exceptional performance integrated with the best of ultrasound imaging technology in order to address a wider range of clinical applications and patient needs. This ultrasound provides superior 2D imaging as well as pulsed wave Doppler functionality, ideal for high-quality audio and visual capabilities for spectral visualization and quantification of blood flow. Furthermore, with 3-Scape real-time 3D imaging, the Acuson X150 allows for increased anatomic detail. Lastly, the Acuson X150 ultrasound system includes a rotating, 15-inch panel display, tissue gray scale optimization, and seamless network integration.